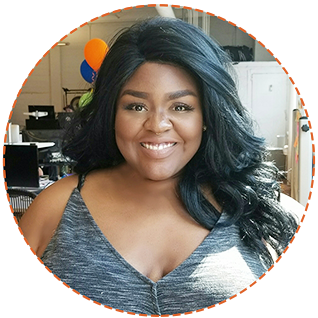 Comfort Olagunju is the Director of Customer Success at Shyft, a Seattle-based startup app that helps hourly workers manage their work schedules. She started her career as a sales associate at Nordstrom where she honed her skills working with customers. Now she leads a team that helps customers use the Shyft platform to its highest potential. The daughter of Nigerian immigrants who are also STEM professionals, she was always supported to get an education and work hard to achieve her goals. "Be confident in the fact that you belong where you are, even if you don’t feel like you do." When she was a child, Comfort played the youngest daughter on a tv show pilot called Other Worlds.